Sure, many of them like RIM and Nokia are in decline and are retooling their product lines almost perpetually to become competitive. But beyond these examples we also have a slew of Japanese consumer electronics companies who have seen the golden age of TV come and go… Now they are focusing on exporting mobile devices to make a living. Players like Sony, Panasonic, Sharp and Fujitsu are but a few. Daisuke Wakabayashi has some good analysis on the situation and how Japanese mobile device makers got cocky thinking they already had smartphones and didn’t heed the shift in the industry to touchscreens fast enough. The inevitable result of large gadget companies getting desperate to sell products in the growing market will mean a slew of new devices at lower and lower price points. Since cost will be a major issue, we can expect open-source Android phones galore. The result may be a market where only Apple can make money. This however may not be in the best interest of Apple as companies fighting for share may lower the prices so much that a comparative iPhone will become much more expensive than its non-Apple counterpart. The measurement of “much more” depends on the user of course and Apple is still in a superior position because it owns processor development and the entire ecosystem of apps and entertainment which means more ancillary revenue per device than the competition. This doesn’t mean however that we aren’t about to see a flood of new Android devices very soon. And then there is Amazon who is likely to come out with a phone which will also be subsidized by the company’s Prime offering. In a move towards differentiation expect more celebrity endorsements and branding of phones. To borrow from the car market again, you may have noticed both JLo and Charlie Sheen have been pitchmen for Fiat’s newest cars – although it is tough to imagine either actually driving one. To attract the youth market I suggested One Direction as a natural partner for Samsung’s media players as you may recall. Another trend we can expect to see from desperate mobile device companies is relationships with app and social companies. Expect for example Angry Birds phones, Twitter phones and so forth. The device makers will give these partners a cut of the sale and in-return they will tout their branded version of the various devices on the market. Will these gimmicks work? To some degree yes but it is very tough to predict. I would never have guessed that Beats by Dr. Dre would be as popular as they are considering Bose has been selling competing products which are quite good for many years. But still, these colored headphones are everywhere. To continue comparison of cars and tech from earlier this week, there are a few examples of car brands determining they wanted to go upmarket only to get slammed back to reality. Mazda came out with its Millenia luxury sedan designed to compete with Infiniti and Lexus in the nineties. It was to be part of a new brand, Amati. But the money want there to launch a whole division so the car was launched as a Mazda. Although it had great reviews the public just didn’t warm to it because it was an expensive Mazda. The Volkswagen Phaeton was another high-end car – designed to compete with Audi and Mercedes. In fact since VW owned Audi it shared many of the same parts but was just a more feature-rich automobile. Again, consumers didn’t want to spend north of $70 grand on a VW. The point here is you aren’t likely to get a premium price for a phone from a typical Japanese manufacturer. Instead, there may be an opportunity to brand some of these new devices in the above-mentioned ways in order to either boost sales or get consumers to pony up more money per device than they typically would. This is why Sony will look to its entertainment and videogame arsenal for assistance. In summary – the new Japanese competition is to be added to the already tough competition from Chinese manufacturers ZTE and Huawei and will lead to compressed industry margins. 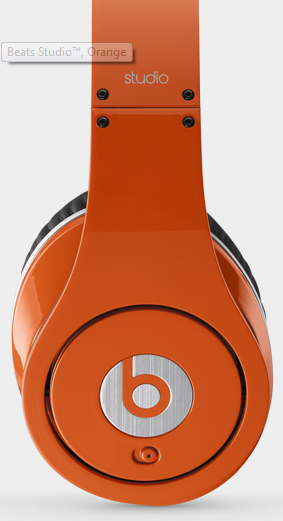 The opportunity does exist however for companies to copy what Beats By Dr. Dre Audio has done in consumer electronics. To date the company who has come somewhat close to doing this in Samsung but I believe there is room for another.